This image was created from the car with the big lens supported by the BLUBB (BAA Big Lens Ultimate Beanbag): https://store.birdsasart.com/shop/category.aspx?catid=16. Buy the best equipment that you can afford and learn to use it. Use a sturdy tripod with your longest lens. Using a camera body strap, keep a camera mounted to a shorter intermediate telephoto lens (or a telephoto zoom lens) on your shoulder. This will allow you to be ready almost instantly for flight and action situations and will give you lots of framing flexibility when creating bird-scapes of images of large flocks of birds in flight. Become a better naturalist. The more you know about your subjects the better your images will be. Learning tons about bird behavior and migration will vastly improve your photography. Study and practice. There is a wealth of great info around today that I only wish had been available in 1983. Digital has made learning ten times easier, but you still have to study and practice…. Resources; click here: https://store.birdsasart.com/shop/category.aspx?catid=10 and follow the links. Take a photo tour with a good instructor and/or attend a seminar. Move slowly and get low when possible. Work on your Photoshop skills. I see lots of good photographs ruined instead of improved in Photoshop. Resources: ABP II & Digital Basics: https://store.birdsasart.com/shop/category.aspx?catid=32 and APTATS: https://store.birdsasart.com/shop/item.aspx?itemid=54. For CS4: https://store.birdsasart.com/shop/item.aspx?itemid=258. Look at as many good (and bad) images as possible. Critique each image that you see. Actually writing critiques of the work of others can help you improve by leaps and bounds. Joining and participating on BPN will allow you to do all of the above. Subscribe to BAA Bulletins. Visit the BLOG. Join and participate actively on BPN. Robert O’Toole’s APTATS II CD (Advanced Photoshop Tips and Techniques Simplified II). We are aiming for late-December, 2009 before the holidays…. Order now; save $5.00. See below for details. Now here’s the best news: you can save $5 by pre-ordering your copy of Robert O’Toole’s APTATS II now (only through BAA). 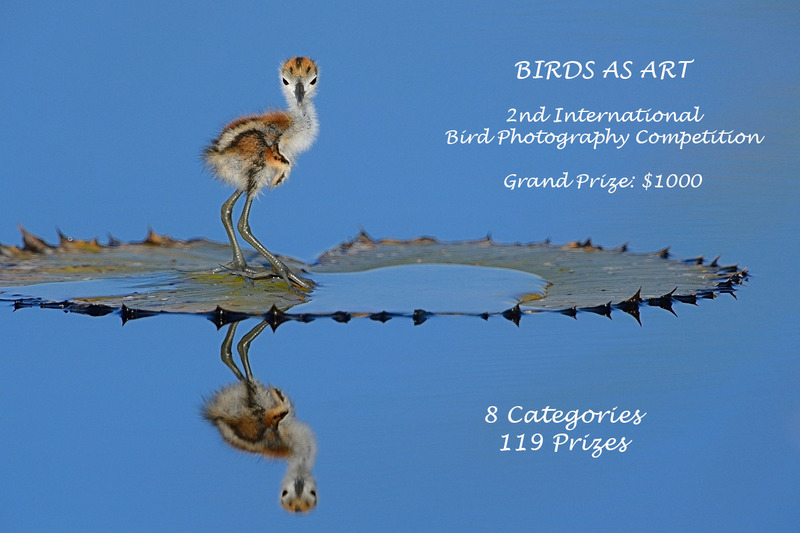 You can send us a Paypal, call us at 863-692-0906 with a credit card in hand, or order APTATS II from the BAA On-line Store (with secure credit card data transmission) by clicking here: https://store.birdsasart.com/shop/item.aspx?itemid=277. The Indian River Photo Club is pleased to host Canon Explorer of Light photographer Adam Jones on Nov. 14th, 2009. This full day seminar will be held at the Indian River State College’s Kight Center for Emerging Technologies in Fort Pierce, FL from 9:00 am to 4:30 p.m. On-line registration and payment info is available here: www.irphotoclub.org. David McNicholas is offering a used Canon 100 – 400 mm f/4.5 – 5.6 L IS USM lens in excellent shape with the lens case, and lens hood in the original box with the original manual. It is a one-owner lens that has been sitting on the shelf since I started using the 400 mm f/4 IS DO lens. I am asking $1100 for it and will ship it insured at buyer’s expense. November 14, 2009 thru November 16, 2009. 1 Opening: late registration discount price: $675. Canon EOS 1D Mark II N – includes charger, battery, 3 extra batteries, and everything that came with the camera when new. $1800 or best acceptable offer. Canon EOS 10D – includes battery grip, charger, 2 batteries, and everything that came with the camera when new. $225 or best acceptable offer.